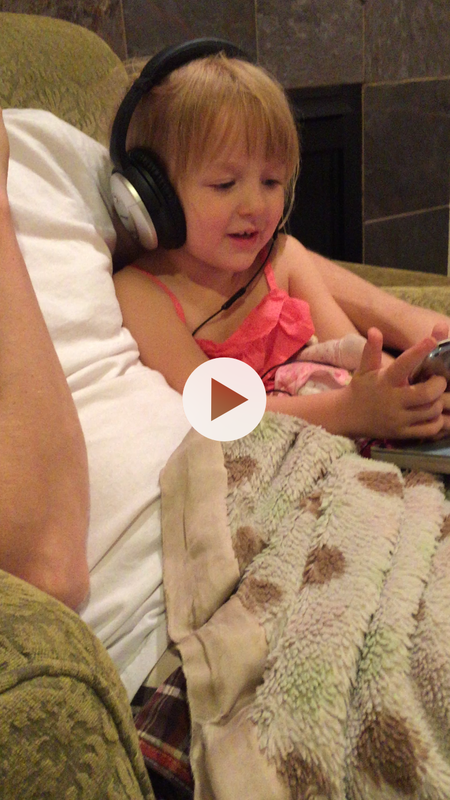 Josh let Emma use his headphones so she could listen to some music. He is a good daddy, he knows Disney songs is the best Pandora station for 3 year old girls. Emma started singing along and it was one of my favorite things.